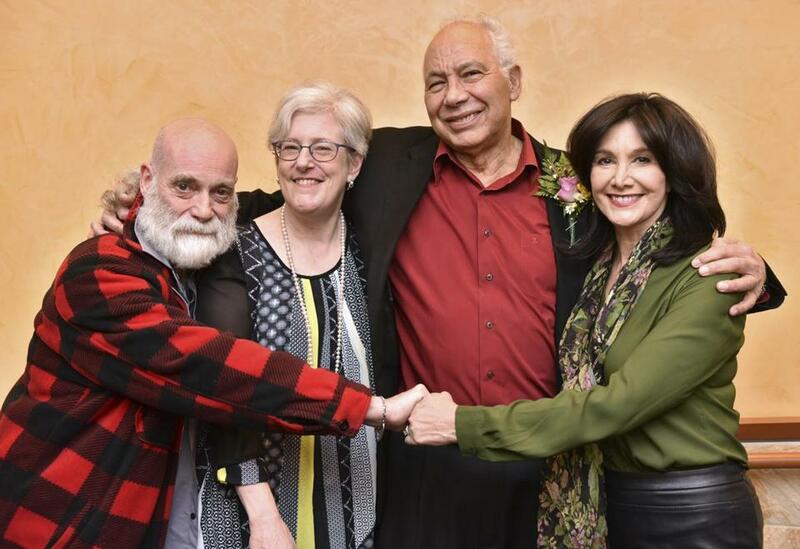 From left: Duggan Hill, Debra Cash, Tony Williams, and Joyce Kulhawik at the 2019 Boston Dance Alliance Gala. Dance lovers turned out to honor choreographer Tony Williams and educator Duggan Hill at the annual Boston Dance Alliance Gala, held this week at the Calderwood Pavilion in the South End. Williams, the choreographer behind “Urban Nutcracker,” was the first African-American male principal dancer in Boston Ballet. Hill, also a choreographer, founded Boston City Lights Performing Arts School. The bash drew many boldface names from the arts community, including Indira Goodwine, director of Dance for New England Foundation for the Arts; Peter DiMuroof the Dance Complex; arts journalist Joyce Kulhawik; dance educators Adrienne Hawkins, Deb Mason, and Jeremy Alliger; and many others.